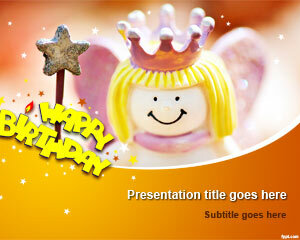 Free happy birthday PowerPoint template with a fairy is a nice way to celebrate the birthday of a student in your kindergarten class. The fairy has cute pink colored wings and a pentagon on the top of her magic wand. 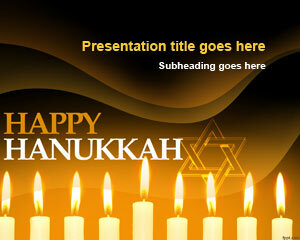 A number of free PPT slides with a birthday or celebration theme are available on FPPT. The ‘HAPPY BIRTHDAY’ message is written in yellow, with a candle on top of the ‘I’. 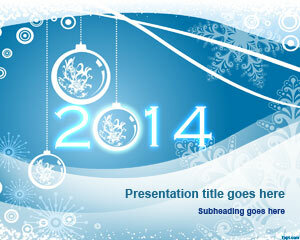 There is snow falling to celebrate the winter season through free happy New Year PPT theme, and birthday balloons PPT slides. Celebrations are the order of the day with bright and light colors. A young fairy is there to give you birthday greetings. 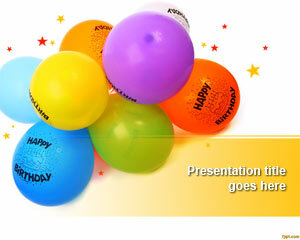 The free happy birthday PPT slides are a treat to give to your young nephew or niece. The magic wand can make any wish come true and inside the title slide is plenty of space for you to write a birthday greeting message. 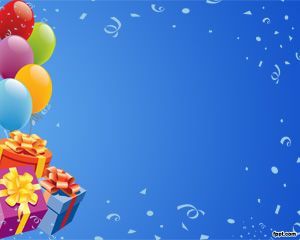 If you are not able to meet a person, the best way to give them a birthday greeting is through a fun loving greeting card, with an intimate message inside. 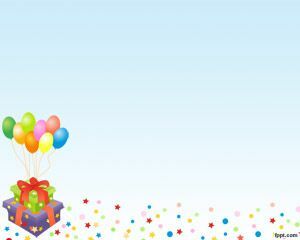 The free happy birthday PPT theme has a light tone to it, and is fit for any informal occasion with members of your family and other close relatives. 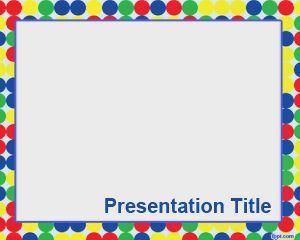 Free happy birthday PowerPoint template runs fine on the latest and previous versions of Microsoft PowerPoint, and OpenOffice Impress.